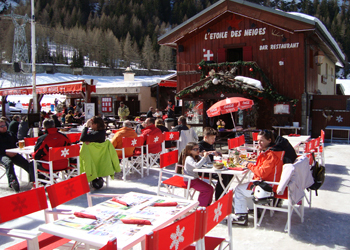 A trip down to Les Brevieres is a must during your stay in Tignes. On arrival in Les Brevieres, at the bottom of the La Sache piste, before the bridge, there’s an ideally situated, sunny chalet made in wood; this is the Etoile des Neiges. 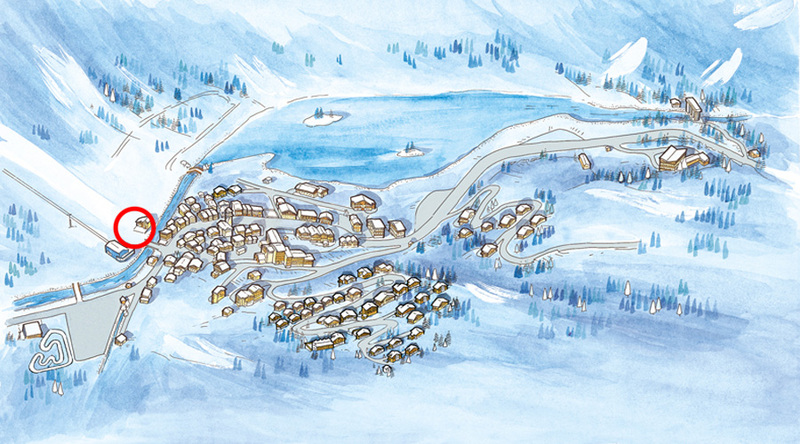 There’s an unrestricted view of the famous Tignes dam and the charming village of Les Brevieres. Time to kick your boots off for a relaxing break! 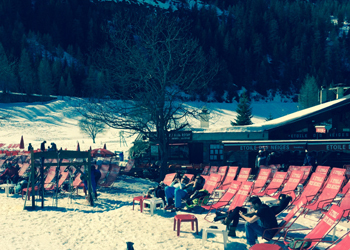 Settling in a deckchair on the terrace makes you want to linger until the sun disappears. 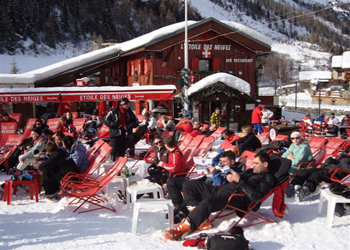 For lunch, afternoon tea or a simple pause between 2 runs, L'Etoile des Neiges Tignes is an ideal place to relax. Taste the famous hot house wine whose reputation is second to none, facing the famous Tignes dam. For lunch, take your time, Christine, Alain and their team will advise you the daily specials, a wide selection of pizzas, salads and traditional menu and Savoyard specialties. Do not forget the oysters at all hours. It only remains for you that you settle on the terrace facing the sun, and enjoy the moment. 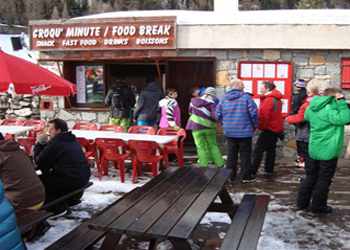 - Situated at the foot of the Sache piste. - At the depart of the Sache chairlift. - Terrace and deck chairs. - Next to the Isere river.